Or any equipment containing cathode ray tubes, or CRTs. This course fulfills your statutory training obligations and covers among other things the correct way to set up and use your display screen equipment safely. Reducing the risk of work related conditions. Note: As an employer you will still be required to ensure that the use of Display Screen Equipment is risk assessed. These assessments should be provided by a trained assessor. 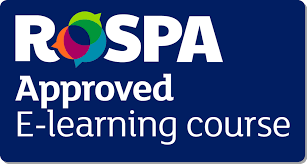 We also provide ROSPA approved Assessing Display Screen Equipment e-learning course for £35. Each module is explained clearly in plain English through video, and has a short test at the end of each module with a 70% pass rate. The course takes on average 50 minutes. What other type of display screen equipment training courses are available? The Assessing Display Screen Equipment (DSE) e-learning course should be completed by those who will be assessing the DSE set ups of employees. If equipment is not set up correctly, users are at increased risk from certain disorders.